½ teaspoon red pepper powder. 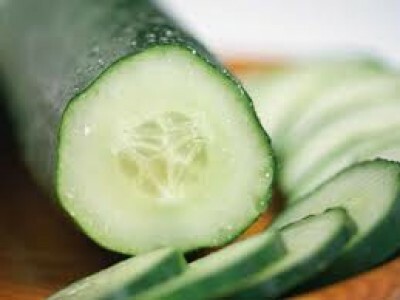 The cucumber in thin slices, sprinkle with salt, cover and a ½ hour in the refrigerator. Vinaigrette of water, vinegar and sugar and there also a clove of garlic add. 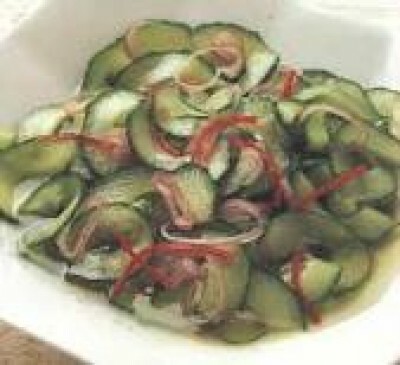 The cucumber and squeeze it well to add the vinaigrette. This whole hour in the refrigerator. Before serving, the whole with pepper and sprinkle paprika. The salad tastes best if you prepared about 2 hours voodat it served.